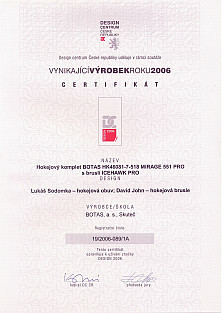 BOTAS company, the only manufacturer of sports shoes in the Czech Republic, can be proud of the Excellent Product Award 2006. This competition was organized by the Design Centre of the Czech Republic. 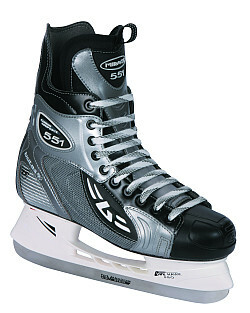 BOTAS company won the prize for “MIRAGE 551 PRO ice-hockey set including ICEHAWK PRO skates. These ice-hockey boots were designed by Lukáš Sodomka and the skates with a plastic tip were designed by Ing. David John. The complete winning set was presented for the first time at ISPO Winter Trade Fair in Munich in January 2006.